Part 1 Traffic Attribution vs. Sales Attribution: What’s the Holy Grail of Marketing Measurement? Historically, there have been few ways for dealers to accurately measure if their marketing spend is providing ROI – and really, truly trust the data. Traffic Attribution has been, and remains, the primary KPI dealers use to measure the success of their marketing campaigns; and Google Analytics the primary tool. Relying on traffic as your primary measurement is troublesome if you use the results to help reallocate your marketing spend. If Google Analytics tells you that your display ads drive the most traffic at the lowest cost, while your Third Party Vendor drives the least - it stands to reason that you’d use this data from GA and spend more of your marketing budget on display ads and less with your Third Party Vendors. Web traffic alone only shows data indicating how many people visit the dealer’s website. What about accurately tracking all the referral sources for sales? It’s what web traffic doesn’t show that is most important, and that is missing if you use this as your primary KPI. Luckily, Sales Attribution techniques are becoming more common in the automotive industry and we’re seeing more dealers adopting new measurement approaches. In my next blog I’ll outline some of the surprising results dealers are seeing using Sales vs. Traffic Attribution. But in this blog I’d like to focus on Traffic Attribution because, while Sales Attribution is the Holy Grail, you can still extract valuable information from free out-of-the box web traffic measurement tools like Google Analytics. Let’s face it, Google, in itself, is a vendor in our industry. And, while claiming to be unbiased, its long-time attribution model is flawed. Not only is it flawed, but most dealers have it set up poorly, so have trouble getting accurate data. We recently conducted some in-depth research with a number of dealerships who rely on Google Analytics for web traffic measurement and found that many have it set up incorrectly. This makes it almost impossible to understand what’s going on, even from a last-click perspective -- let alone a multi-channel approach! Even those a little more technologically-inclined were forced to spend way too much time manually adding data to spreadsheets, attempting to decipher what’s working, and what is not. We were also shocked to discover that many dealers didn’t have the proper goals set up in their accounts. This is extremely important as the data will be flawed and inaccurate if Google Analytics is not set up properly. In fact, you will not be able to gain any valuable information. In studying several dealers, when they correctly organized the data in Google Analytics, ensuring that each traffic source was assigned to the appropriate channel, while also assigning referral sources that were falling through the cracks (such as third-party ads), the data provide information that was much more valid. These dealers could finally trust this data to make better informed decisions. Relying solely on Google Analytics out of the box set up has some other pitfalls, including the fact that it does not allow you to see performance between brand and non-brand search and display. If you cannot break this out, you can only view the performance of paid search and display as a group. In addition, you cannot break out Tier 1 and Tier 2 marketing campaigns, or your own email campaigns. The inability to see granular level results such as these (and more), can easily lead to poor marketing decisions. In part two of this blog series, I will discuss the holy grail of attribution – Sales Attribution. I’ll explain the different types and why it’s so difficult to measure. So, stay tuned for more………. Attend Steve White's session at Digital Dealer to learn about measurement technologies and the marketing results they’ve uncovered. As an industry, when it comes to traditional marketing, we’ve relied on estimates and forecasting in the offline world, which were mostly dependent on subscriber, listener or traffic averages to make decisions. 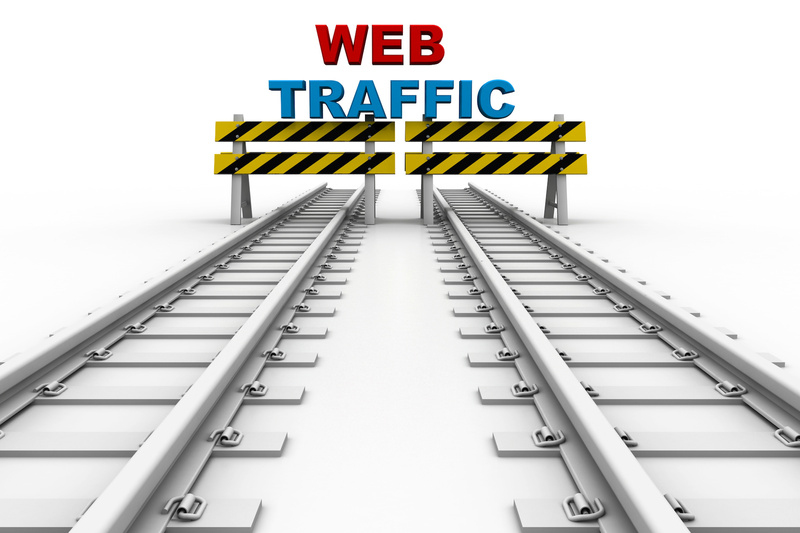 In the digital marketing world, it’s all about web traffic attribution. “How many people are visiting my website and where are they coming from?” has been the dominant way to determine whether those marketing dollars are well spent. 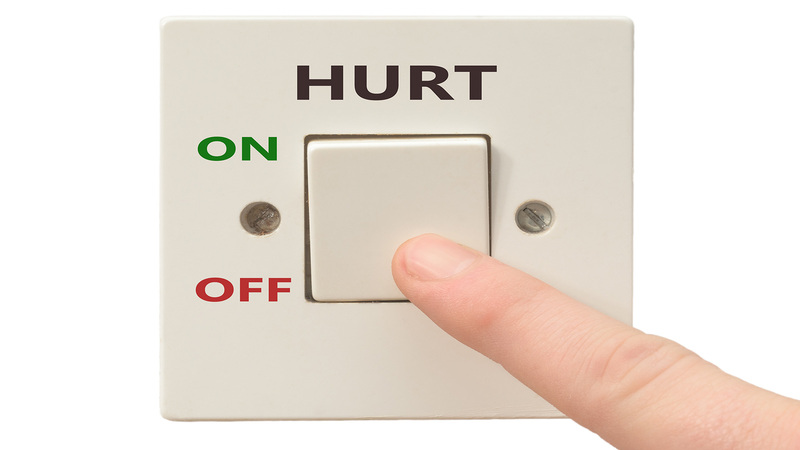 While there has always been your CRM, that data has mostly been hit or miss and is dependent on two things: did the salesperson actually ask the customer what brought them into the store; and, did the customer even remember what it was. Today, technology has progressed to the point where you can now pinpoint influencing sources both on your website AND across the customer’s entire car buying journey. This includes offline traditional advertising sources and online, across the many touch points the customer used that brought them into your dealership. Despite this fact, many dealers continue to utilize antiquated and inaccurate data powered by last-click attribution methods that don’t really provide any information other than at which touchpoint the customer converted. The problem is that the majority of the time that last click wasn’t the main influence that motivated that customer’s conversion. How are you supposed to know exactly which touchpoints are influencing your buyers, and which are stronger than others? Well, let me tell you -- sprung up from the technology ashes like a phoenix being reborn is a cornucopia of marketing discoveries that are changing the landscape of automotive marketing! Attend my session at Digital Dealer and I will go over these technologies and the marketing results they’ve uncovered which will open your eyes and shock you, as they involve a new way of thinking and viewing the world. This technological awakening is similar to Plato’s Allegory of the Cave. If you’re unfamiliar with this story, it involves a group of people who spent their entire lives chained in a cave where they could only see shadows of things on the wall in front of them. This group had no desire to leave for they knew nothing other than the reality presented by the shadows on the cave wall. For this group, the shadows were their reality because that’s all they knew. When the group managed to free themselves and experience the real world, they understood that reality is not what they thought it was. They became enlightened and changed their worldview. This story is no different than what is occurring right now in automotive marketing. Dealers have been chained staring at a cave wall, believing the confusing shadows of data they see. However, this data isn’t actual reality. What is reality and what can you trust as the truth about your marketing results? Well, multi-touch attribution has now freed dealers and you can accurately view the reality of the results of your marketing spend -- make decisions based on fact, not shadows. For those dealers so enlightened, marketing budgets are more effective, results are better and they’re finally able to make decisions about their marketing they can trust, that truly help sell more vehicles. My session, “Shocking Discoveries in Automotive Marketing – Your Marketing Will Never Be the Same,” will show you how escaping the bonds of last-click attribution and other inaccurate data sources will put you on the path towards a more profitable marketing future. The Digital Dealer 23 Conference & Expo will be held this Sept. 18-20th in Las Vegas, NV. Register now to start building your agenda by choosing from more than 100+ sessions! At Clarivoy we are always interested in bringing educational content to dealers, marketing agencies, business startups, our partners and other vendors, in an effort to help them be more successful – both inside and outside the automotive industry. Marketing, especially proper attribution, is immensely important to making educated decisions about any marketing spend. With proper attribution you can adjust budgets to focus on those channels that are actually performing, improve performance and cut out any waste. CEO & Founder Steve White will be speaking at this automotive industry event. In his session, “Shocking Discoveries in Automotive Marketing – Your Marketing Will Never Be the Same,” Steve will reveal some very surprising tips automobile dealers have discovered simply by switching attribution models. Learn more here. Clarivoy is pleased to return to the DrivingSales Executive Summit, especially as at the last show we were awarded the 2016 Innovation Cup for most innovative dealer solution of the year. We’re also excited to be a sponsor for this year’s event and will have a booth for dealers that wish to visit with us and learn how our solutions can help them make better marketing decisions. Clarivoy is also a co-sponsor for the annual “Ride DSES,” hosted by IM@CSWEB, which takes place each morning throughout DSES, beginning October 22. Bikes are provided and DSES attendees can start their day with an invigorating bike ride accompanied by other DSES attendees, arriving back at the hotel with plenty of time to get ready for DSES. More details to follow so stay tuned and keep checking back. At this first-of-its kind event solely dedicated to analytics and attribution, in Boca Raton, FL., CEO & Founder Steve White will present a session, “7 Secrets to Maximizing your Attribution Investment.” This event promises to offer dealers a true education on the proper use of Google Analytics and attribution models, with real-life practical examples dealers can take back to their dealerships and put to immediate use. Clarivoy is also a sponsor of the event and we will have a booth where dealer attendees can visit to learn more about how Clarivoy can assist and boost marketing efforts. We’re also pleased to return to David Kain’s fantastic event in Lexington, Kentucky – the 13th Annual Client & Friends Digital Success Workshop. Once again, Clarivoy will sponsor this event. In addition, CEO/Founder Steve White will present a highly-informative session to attendees. Last year’s event was incredible and we’re looking forward to what is sure to be another excellent event! 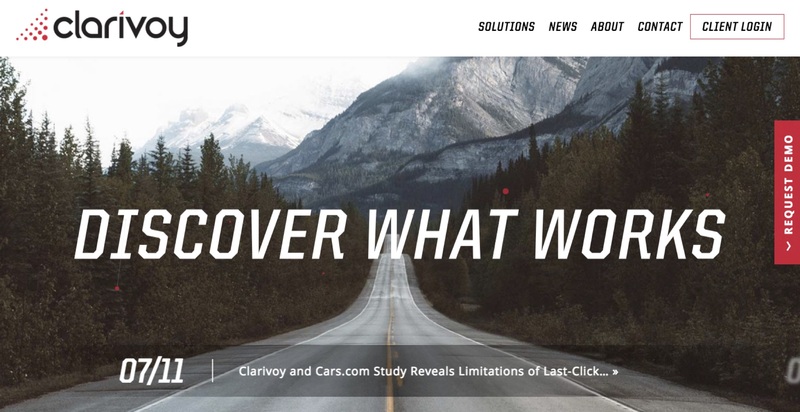 Columbus, OH, August 9, 2017 -- Clarivoy, the auto industry’s most trusted source of truth for optimizing the performance of marketing campaigns, today announced the launch of their newly updated and revamped website: www.clarivoy.com. www.clarivoy.com gives better access to quick links such as Case Studies with successful dealers; a State of Automotive Attribution Study, which reveals what’s really going on with auto industry marketing measurement; information about Clarivoy’s Solutions, which put marketers in the driver’s seat to answer the question they’ve been about their marketing efforts forever: “Is my investment helping me sell more?”; Company News, which includes a series of best practice blogs and articles with invaluable tips about accurate marketing measurement; and Frequently Asked Questions. Clarivoy’s Multi-Touch Attribution solutions use proprietary attribution algorithms to help marketers discover what’s really driving traffic and sales. Their solutions are uniquely focused on user-level attribution, allowing Clarivoy to identify the purchase paths of even Anonymous Shoppers™ across all channels, all devices – online and offline -- sorting and ranking the influence of each channel’s contribution – paid search, display ads, TV, email, third party websites, organic search, social, and brand website. For more information, or to sign up for a demo, visit Clarivoy’s new site: http://www.clarivoy.com. Clarivoy is the auto industry’s most trusted source of truth for optimizing the performance of marketing campaigns. Their Multi-Touch Attribution solutions reveal more about their clients’ customers, their advertising and their path to success so they can drive more sales. The company’s proprietary TV Analytics solution was named the winner of the 2016 DrivingSales Innovation Cup Award for the Most Innovative Dealership Solution of 2016. Clarivoy’s proprietary technology grants marketers incomparable visibility into their customers and campaigns – across all channels, all devices – online and offline. Armed with this new information, marketers can stop guessing and start knowing what is working and what is not. http://www.clarivoy.com. We asked dealers how they are adapting to new marketing measurement tools. Things have changed considerably with the state of marketing measurement and we wanted to know how dealers are adapting to new measurement tools like Multi-Touch Attribution. So, in April 2017, we decided to ask and surveyed approximately 120 dealers for our State of Automotive Attribution study. 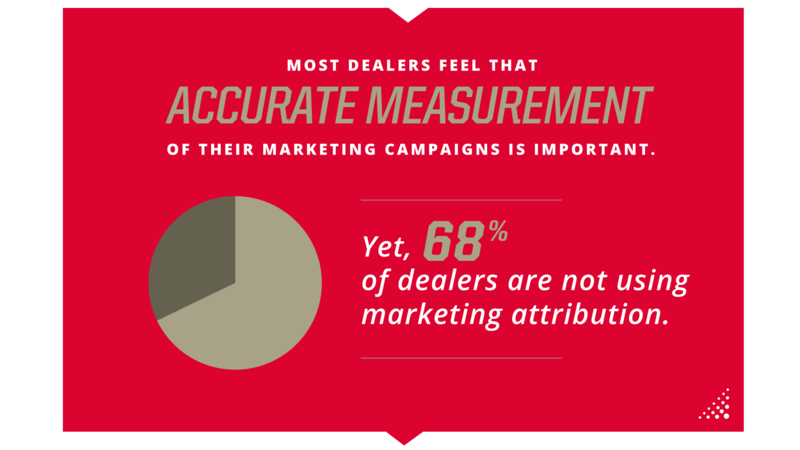 In general, the survey found most dealers feel accurate measurement of their marketing campaigns is important. Most rely on in-house reporting (68%) and/or vendor reporting (64%). However, a key point in this survey is that only 30 percent of dealers report being satisfied with how they currently measure their data. Out of the many reports dealers use, each puts emphasis on different metrics and different attribution models. This leads to a confusing mess of data forcing dealers to, in a way, compare apples to oranges. The survey results show that dealers certainly know the importance of attribution. Columbus, OH, August 2, 2017 -- Clarivoy, the auto industry’s most trusted source of truth for optimizing the performance of marketing campaigns, today announced the results of an industry-wide study to better understand the current state and usage of marketing measurement in the retail automotive industry. “Things have changed considerably with the state of marketing measurement and we wanted to know how dealers are adapting to new measurement tools like Multi-Touch Attribution. So, in April 2017, we decided to ask and surveyed approximately 120 dealers for our State of Automotive Attribution study,” said Steve White, Clarivoy CEO. “Out of the many reports dealers use, each puts emphasis on different metrics and different attribution models. This leads to a confusing mess of data forcing dealers to, in a way, compare apples to oranges,” said White. In response to the question, “Which vendor categories need the most blind faith as to if they are working?” 40 percent of dealers stated display ads, followed by third-party listing sites at 38 percent. “The display ad answer is a little curious as, set up properly, they should be easy to measure,” said White. “However, the third-party listing site answer is not that surprising. The actions a consumer takes following a visit to a third-party listing site and viewing a vehicle of interest can vary over an entire spectrum of possibilities: they could submit a lead on the third-party listing site; call a phone number; bounce to the dealership’s website and convert there; call the dealership; or simply show up. The effectiveness of a third-party listing site can be far from black and white in terms of measurement. And, more often than not, attribution depends on proper sourcing by the salesperson or last-click attribution models – both of which have huge gaps in accuracy,” White explained. As far as what dealers want from an attribution tool, 46 percent would like a multi-touch attribution solution. They believe last-click is unreliable for reporting accurate sources and what really influenced the sale. 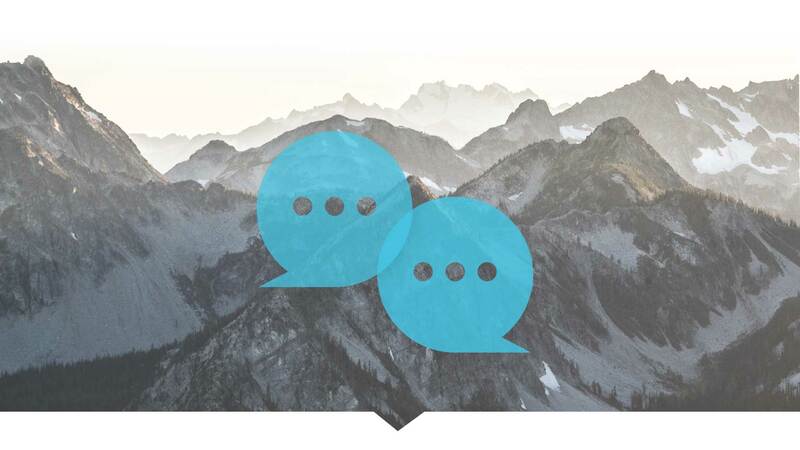 When asked what their ideal attribution solution should include, 59 percent stated the ROI contribution of each marketing channel, 57 percent replied that they want analytics that deliver actionable insights; 48 percent want a transparent view of a customer’s full purchase path and 41 percent desire reporting accountability and accuracy. In response to the question, “How knowledgeable are you about marketing attribution?” 30 percent think attribution and analytics are important, but don’t know where to begin, and 20 percent do not know anything about marketing attribution. Overall, 68 percent of dealers aren’t effectively using, or are failing to use any type of marketing attribution to measure the results of their advertising. “This is a glaring hole and effectively makes measuring marketing efforts and spending a guessing game,” said White. First and last-click attribution is the most commonly used attribution model, used by a full 77 percent of respondents. This is largely due to the fact that these attribution models are used by most vendors, as well as Google Analytics. 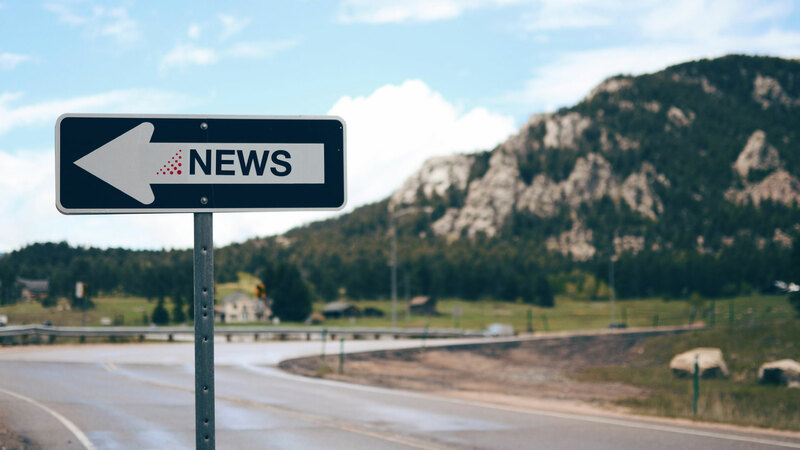 However, according to White, while widely used, these models give poor results and a skewed picture of what sources truly influence customers in their decision to buy at the dealership. If dealers can’t – or aren’t – getting the data they need to make intelligent decisions, what are their biggest challenges? According to the survey, 57 percent replied proving ROI for marketing spend, followed by targeting marketing to the best audience, at 41 percent, and evaluating vendor performance, at 35 percent. “These challenges, of course, lead full circle back to the same question asked since dealerships first came into existence ‘Did it sell cars and, if so, how many?’” said White. “The survey results show that dealers certainly know the importance of attribution. Vendors increasingly recognize that dealers need and want this data. So, slowly but surely, the back end of marketing is becoming more transparent as vendors are more open to new attribution models and are starting to integrate with attribution solutions. This is a great trend that will see dealers and vendors creating stronger partnerships while bringing confidence and true accountability to both,” White continued. For more information visit: http://www.clarivoy.com, or to view study results click here.